Someya is a young, vibrant, prolific, and established singer-songwriter from U.S.A . At a very young age of 16, she has 4 successful music singles to her credit. This Indian-American is gaining massive popularity in USA as solo singer of Western music including Jazz, Pop, Rock, and Alternative. Someya has already established herself in the USA with her Alt-Rock that is markedly different from the traditional ones as she weaves a story around the song keeping listeners bound to it. Someya is all poised to make her entry into the Bollywood with her latest album “Gold”. Approach Entertainment, India’s leading Celebrity, Artists and Talent Management Agency will officially handle the portfolio of Someya to upgrade it and elevate in the Indian Film, TV and Music Industry. Talking on her Bollywood entry Someya believes a space is lying vacant in the Indian world of Alt-Rock and she wants to fill it. 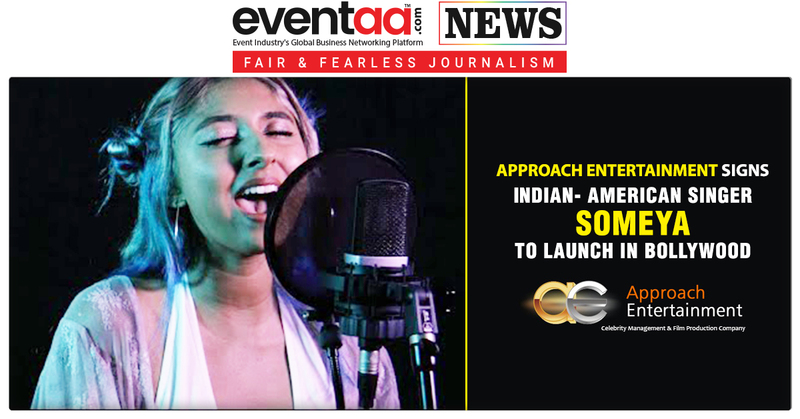 To achieve her goal top Celebrity Management company “Approach Entertainment” in India are confident that they will make her a big brand on World music scene.